Benguerra is the second largest island of the Bazaruto archipelago. It consists of five islands: Bazaruto, Benguerra, Magaruque, Banque (or Shell Island) and Santa Carolina (or Paradise Island). It is about 11 x 5.5 km and is 14 kilometers northeast of Vilanculos. 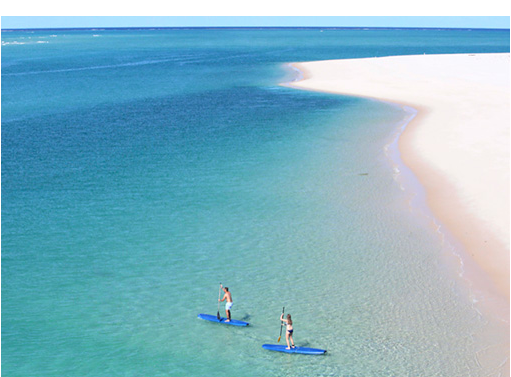 It is famous for its pristine white sand, its diving spots and its excellent fishing. It has around 2,000 inhabitants. It has no stores, so it is recommended to bring everything you need, especially medicines. 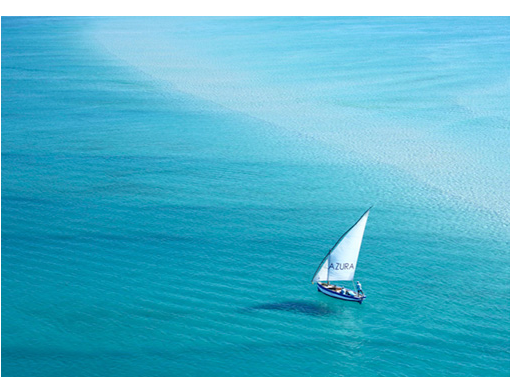 It is the first of several ecological luxury retreats in the Indian Ocean created by Christopher and Stella Bettany, with extensive experience in the development and investment in luxury hotels. It opened its doors in September 2007 with the aim of offering the latest in private luxury retreats in impressive destinations unknown. 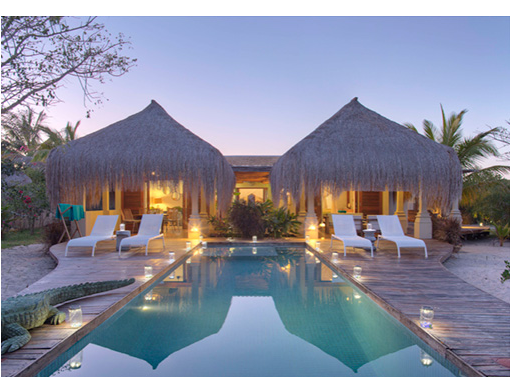 Built by the local community, it combines an elegant and modern design, with the tradition of Mozambique, including the wood used and the local thatched roof. The island is warm and sunny all year round. It is exceptionally dry, since in some years there has been very little rain. The rains are generally restricted to the peninsula, although some may occur throughout the island during the rainy season. There are often light drizzles and generally light breezes at night. The sea temperature varies with the seasons and currents, which range between 24 ° C and 30 ° C. However, weather patterns are changing around the world and it is increasingly difficult to predict the climate for sure. The hurricane season in the Indian Ocean runs from early January to the end of March, with a peak in February. Benguerra is not in the cyclone belt like Mauricio. Only two hurricanes arrived in this area in the last 60 years of recorded history. The 20 luxury beachfront villas consist of 3 Beach Villas, 3 Luxury Beach Villas, 10 Infinity Beach Villas, 2 Royal Beach Villas, 1 Villa Amizade and 1 Presidential Villa. All are very spacious. 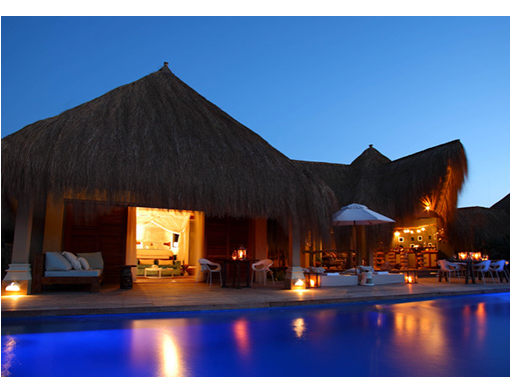 The Infinity and Luxury Villas have a total area of 650 m2 private. The main difference between Luxury Villas and Infinity Villas is the Infinity’s main position, its largest bathroom with tub and the size of the pool. 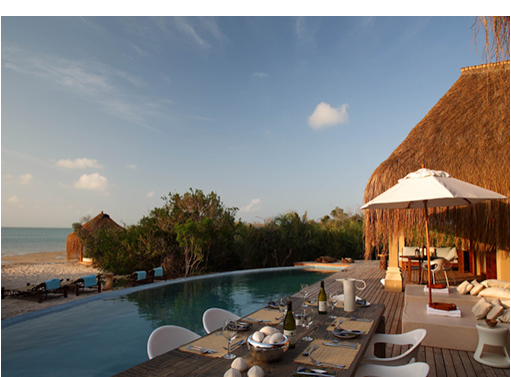 The luxury Beach Villas have pools of 3.5m each, while the Infinity Villas have an infinity pool with 5m. The Beach Villas are a bit smaller in all aspects, but they have a great location. Located in the midst of native trees, they have been meticulously designed to offer guests a private sanctuary where they can feel in harmony with the environment. 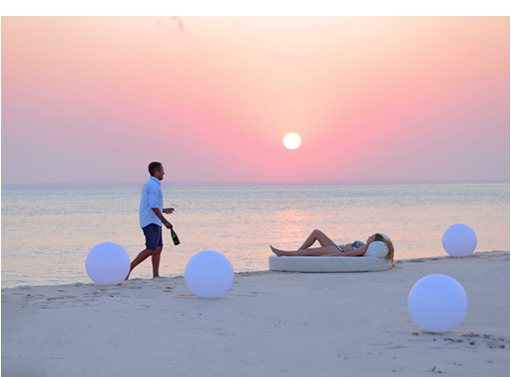 Guests just need to walk a few steps to reach the white sand beach or they can choose to relax on the cushions, have their butler offering tea and cold drinks. You can eat on the terrace or enjoy a cocktail in the lounge by the sea while enjoying the sunset. • King size bed or two single beds with large mosquito net. • Multinational connection points and telephone. • Mini bar with soft drinks and beer. The other drinks are served by the butler. • Soaps, shower gel, shampoo, conditioner and other high quality natural and organic products. • Reference books in the areas of the library and living room. • Laundry service 24 hours. • Air conditioner and ceiling fan. Families are welcome in Azura. 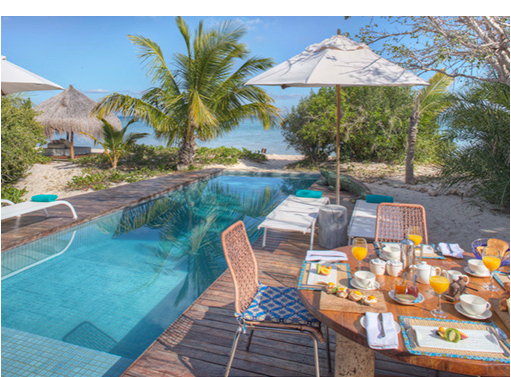 The Villa Amistad and Presidential Villa are the best for families, although at Infinity Beach Villas you can add an additional bed without compromising the space of the guests. The common areas to the beach are open to the sea. 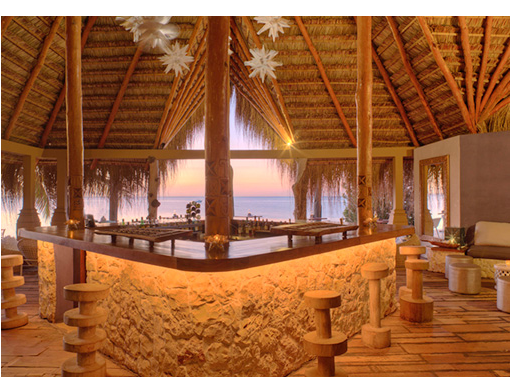 They have several relaxation areas, from the comfortable living room to the bar. There is a media room for those who want to enjoy TV and Internet access. And a store at the reception. • Diving. It has a 5 star PADI Center with a specialized diving training pool. 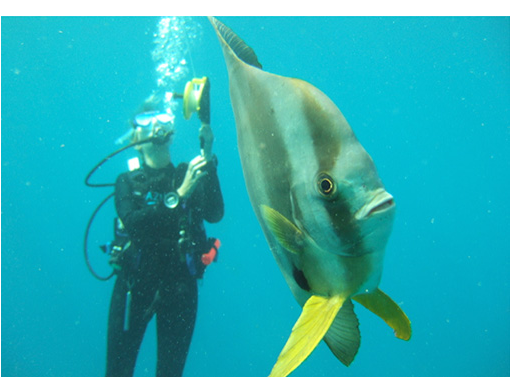 • Guided tours for diving. • Visits to the island, including the recommended route Island Hop. • Guided tours of the island and its natural beauty, as well as the community and its school. • Visits to Vilanculos and its market. • Fishing vessel on the high seas. • Helicopter trip to several destinations. 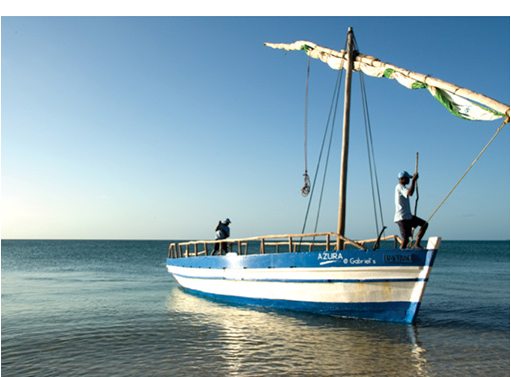 • Dhow sailing and sunset cruises. • Walks along the coast. • Observation of the stars. • Hikes on the beach with a picnic. 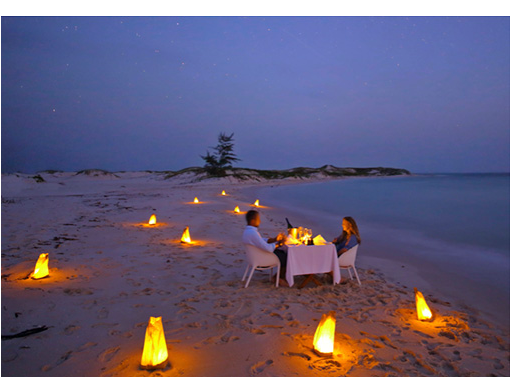 • Private dinners with picnic on the beach. • Guided bird watching trails. Its main focus is on gastronomy, whenever possible with fresh local products such as fish and seafood. The variety of irresistible dishes accompanied by good wines is one of its main characteristics. The wines are from the private cellar of the castle in the Loire Valley of France. Gastronomy offers from casual dining experiences such as picnics in remote locations to a dinner with candles on the beach under the stars, a banquet in the comfort and privacy of the villa and tastings at the Jellyfish restaurant, awarded several times. 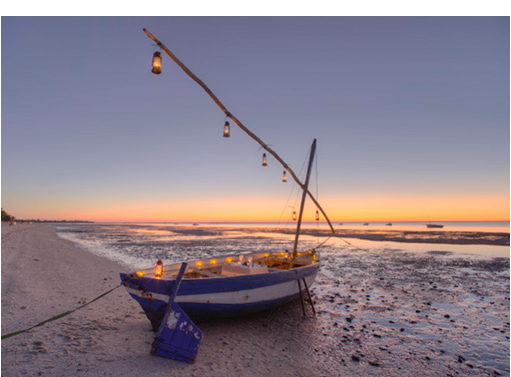 Special events include a seven-course menu with formal tasting, at least once a week, as well as seafood nights in Mozambique, also once a week. If you have specific dietary restrictions it is advisable to notify the hotel as soon as possible, since some specialized ingredients can take around 8 weeks to arrive. Visas are required for all nationalities except South Africans. It is advisable to obtain the visa before traveling, but it can also be issued upon arrival. 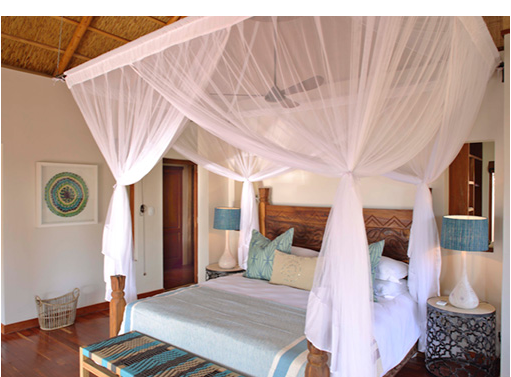 Mozambique is an area of malaria so proper prophylaxis is recommended and normal precautions should be taken using mosquito repellent at dusk and sleeping under the mosquito net. Benguerra Island is considered an area of low risk of malaria. Azura has a medical evacuation policy in South Africa. If an emergency situation arises, a medical plane will be sent, which will transport the patient to the nearest hospital (Johannesburg normally). Likewise, there is a medical pantry with elements that are often necessary, as well as personnel trained in first aid. However, medications that are considered necessary during the stay must be brought. A minimum stay of 5 days is suggested to appreciate all that this destination has to offer.